The Lowenberg-Roberts House is a private residence, please observe this home from the sidewalk. 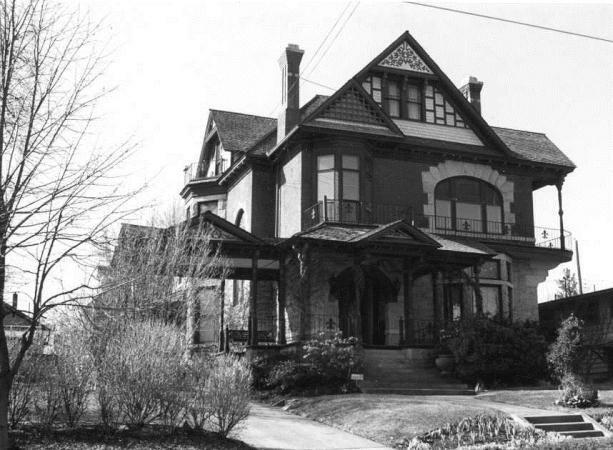 The Lowenberg-Roberts House, located at 1923 W First Ave., was built for Bernard Loewenberg in 1889 and was designed by architect W.J. Carpenter. 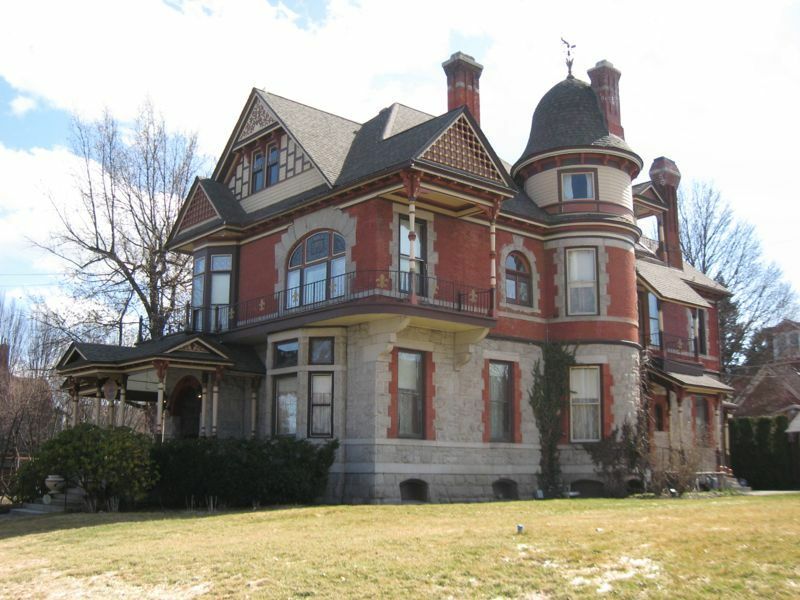 The Lowenberg-Roberts House is an excellent example of the Queen Anne style in Spokane. The first floor is clad with Granite and brick quoining while the upper story reverses this process cladding with brick and granite quoining. This home sits on a stone foundation and has a hipped roof with multiple gables. A rounded tower on the West side with a domed roof is one of the unique features of this home. Notice the ample windows in the home bringing in lots of light, espicially the large arched second story window on the North side. There is a carriage house behind the home, on the South side, created in a similar style. Bernard Loewenberg had been part owner in a general mercantile store in Spokane and eventually rose to prominence being one of the directors of the Spokane National Bank. Following the Panic of 1893, Loewenberg traded homes with noted civil, railroad engineer Edward J. Roberts to escape his debt. Roberts was one of the most prominent civil railroad engineers in the country. At this time a civil railroad engineer was charged with laying out and designing railroads as well as overseeing construction. Throughout the course of his career Roberts worked on the Chicago, Milwaukee, St. Paul, Omaha Railroad, the Northern Pacific Railroad Company, the Canadian Pacific Railroad and the Great Northern Railroad. While working with the Great Northern Railroad Edward Roberts was in charge of surveying and construction of the road from Milnot, North Dakota to Great Falls, Montana. This section of road, 550 miles, was completed in only six months. This pace was a record in the United States and brought Roberts acclaim throughout the Railroad construction industry. Edward Roberts and Mary Tracy married in December of 1883. Today the home operates as a bed and breakfast and hosts events such as weddings. If you are interested in booking a room or an event please visit their website at www.ejrobertsmansion.com . Zachary Wnek, “Loewenberg-Roberts House,” Spokane Historical, accessed April 20, 2019, https://spokanehistorical.org/items/show/317. Durham, Nelson Wayne. History of the City of Spokane and Spokane County, Washington: From Its Earliest Settlement to the Present Time. Vol. 1. S.J. Clarke Publishing Company, 1912. Durham, Nelson Wayne. History of the City of Spokane and Spokane County, Washington: From Its Earliest Settlement to the Present Time. Vol. 3. S.J. Clarke Publishing Company, 1912. Gregg, Sam. 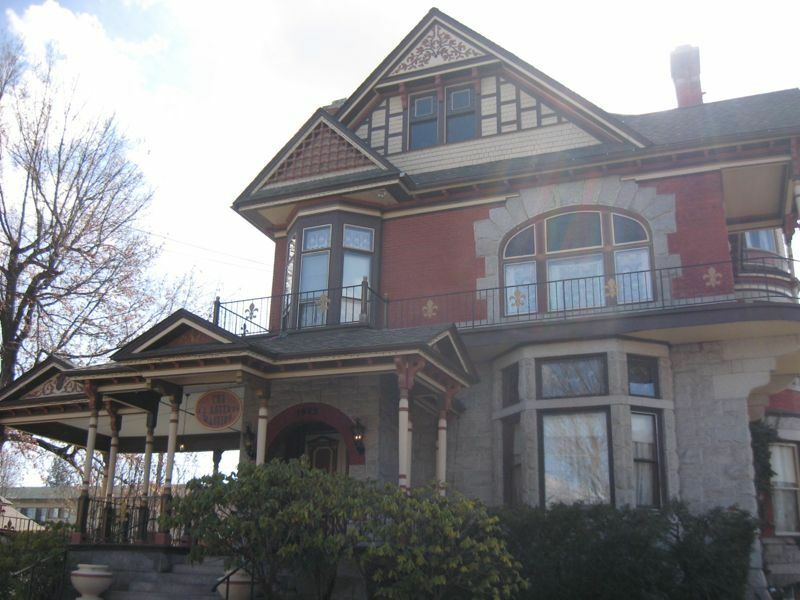 "Spokane Register of Historic Places Nomination Form: Loewenberg-Roberts House". City/County Historic Landmarks Commission, April 10, 1992. Vestal, Shawn. "Browne's Addition says goodbye to 'blight'." Spokesman Review, April 4, 2009, Online edition. http://www.spokesman.com/stories/2009/apr/04/brownes-addition-says-goodbye-blight/ (accessed October 21, 2012).